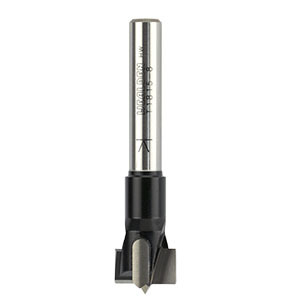 A range of boring cutters to suit the popular sizes of concealed cabinet hinges and KD fittings. All sizes have a centre point and two scoring cutters and produce a clean flat bottomed hole in all timbers and particle boards. 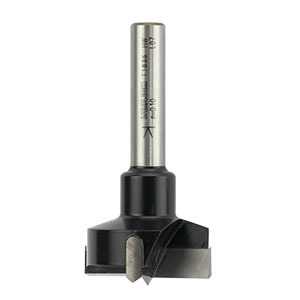 Cutters up to 26mm diameter may be used at speeds up to 25,000 rpm, however the larger cutters should ideally be used at speeds below 10,000 rpm in a pillar drill or similar, although a variable speed routing machine is also suitable. 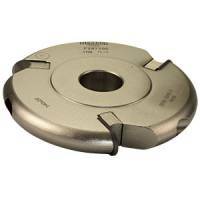 In addition to hinge sinking, these cutters are also ideal for any operation requiring a clean bored hole with a flat bottom. The TD1835 has a 10mm shank, with flat and height adjustment screw, for use in multi-boring machines etc.